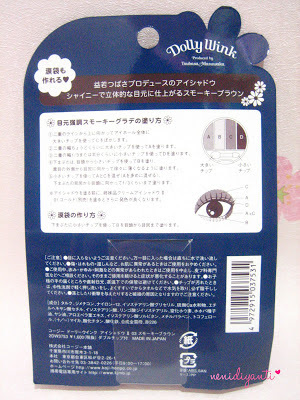 Dolly Wink doesn't include a booklet (like I've read in other review about this eye shadow in old packaging), instead they give a mini tutorial in the back side of the packaging. The packaging itself is cute in brown colored, made from plastic with a heart shaped glass. 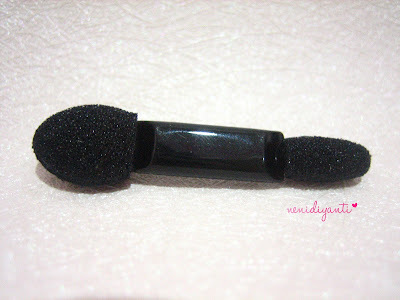 Minus point - it doesn't have mirror, so for me it's not a simple thing to bring for traveling, though it has an applicator inside. Dolly Wink Eye Shadow #03 Smoky Brown contains four eye shadow colors and all are shimmering (which is I like ; cause I do love shimmering ones). 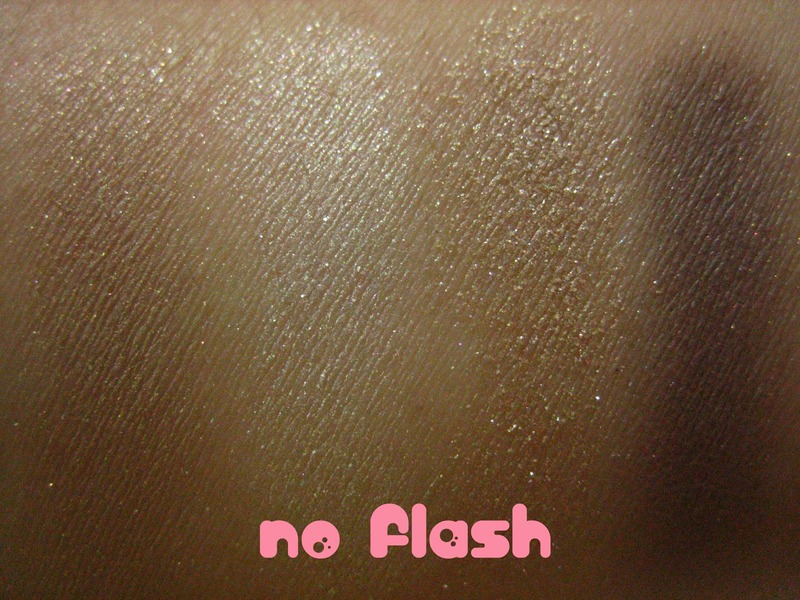 Overall, just one (out of four) colors is pigmented enough. 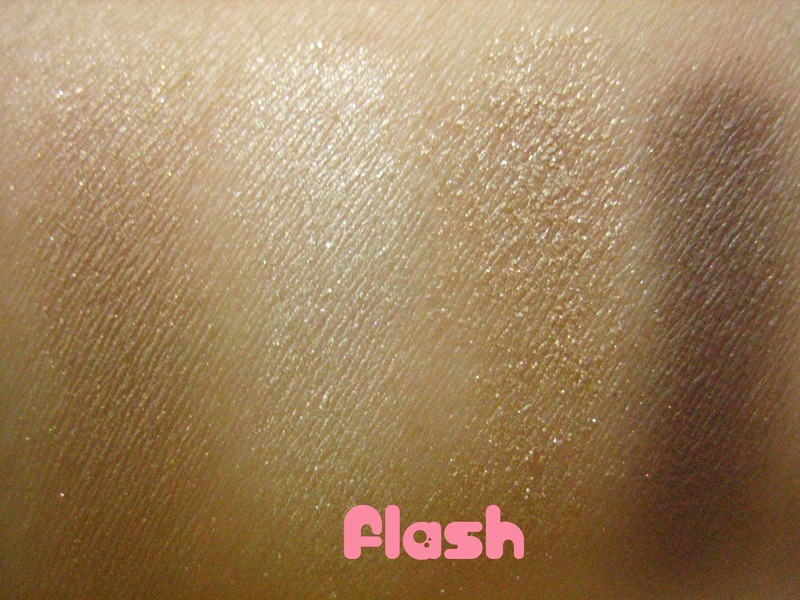 For me, this will give such a natural smoky eye makeup instead of the vibrant one. 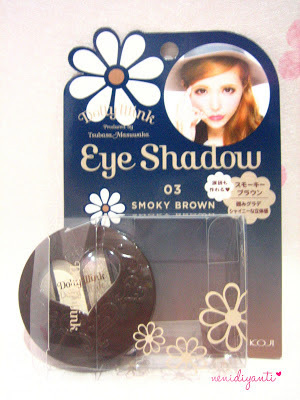 So, for those who looking for very pigmented or (just) pigmented eye shadow colors, this Dolly Wink Eye Shadow #03 Smoky Brown isn't a good choice for you. 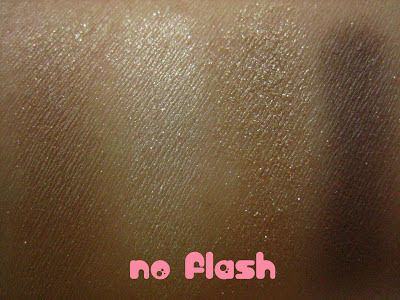 And this eye shadow is powdery. 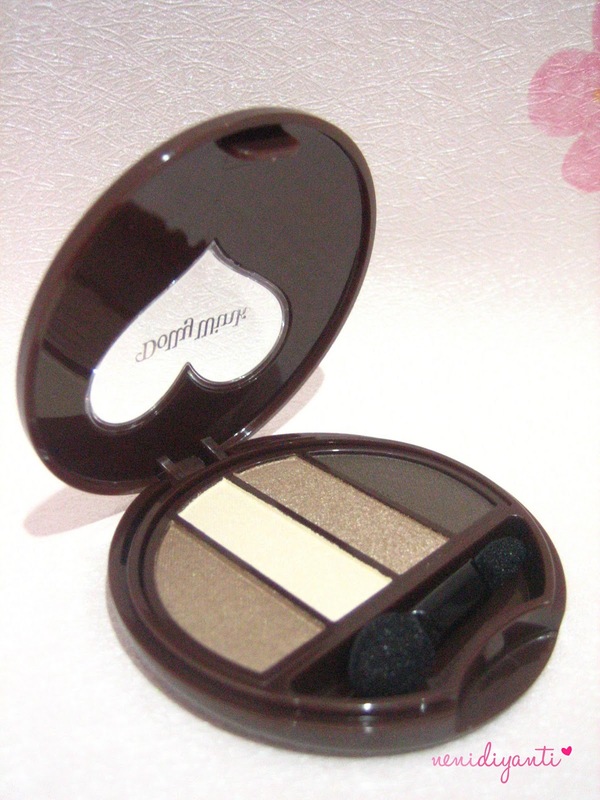 I always end up with mess every time I use this one.I need to tap down my brush before applying onto my eyelid to prevent the eye shadow powder falling on my face. 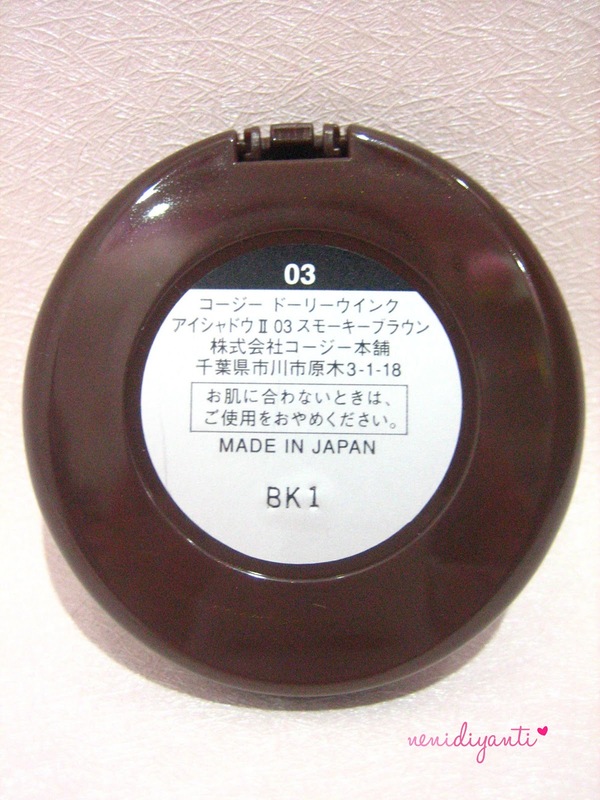 To be honest, I was shocked when I received a package, opened it and found out that the pan is really small. 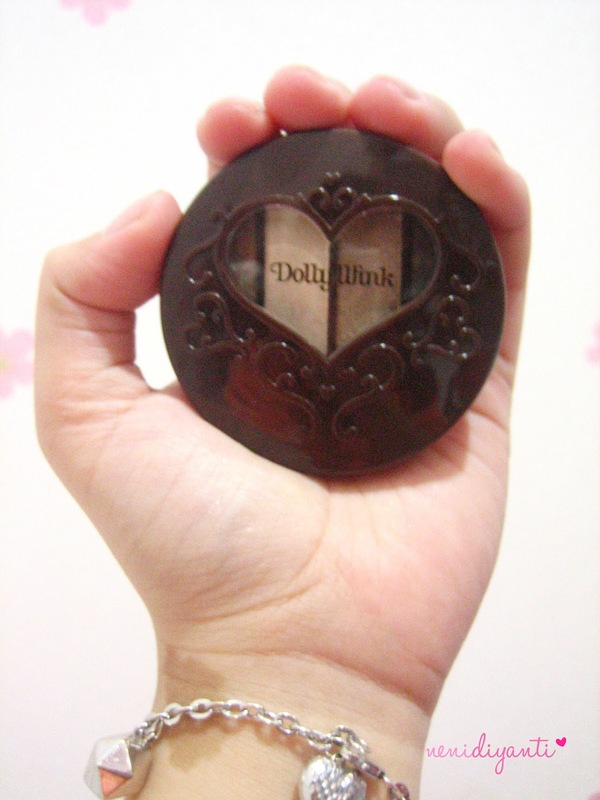 Just as big as my palm (and FYI, my palm isn't wide enough). Its diameter is only 6 cm #LOL. 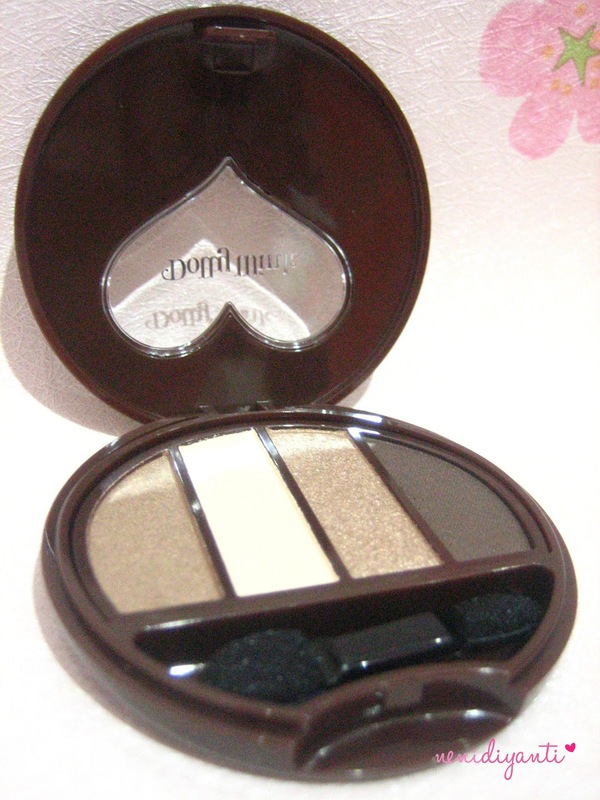 It's really small for me (compared to my other eye shadow pan with at least four colors). I think this one is good for those who always look for a cute packaging and those who adore Japanese makeup product (since Dolly Wink is famous in Japan). But for you who looking for a "worth it" eye shadow, this one isn't a good choice ; judging by its small size with quite expensive price. 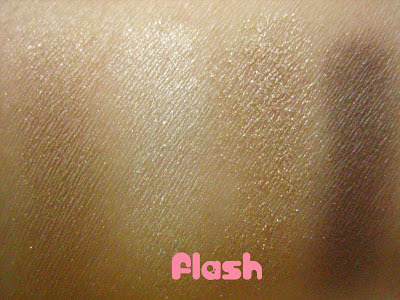 waahh, aku baru aja beli ini sama persis yg no 3 juga, tp di web resminya,, belom dicoba sih, tp keliatan dr swatch ditanganmu powdery sekali ya? mungkin kuteksnya bisa kamu liat di amazon.com begitu...hihi or maybe e-bay! Those colors are gorgeous!!! Thanks for sharing! Great review! It's always good to know the pros AND cons of a product! Darn... 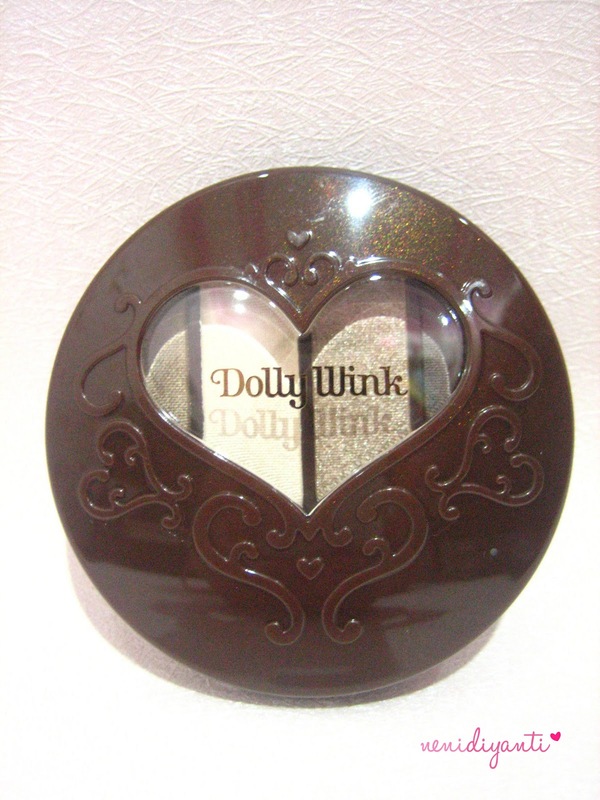 I always thought Dolly Wink was good, they are quite expensive and their eyeliner is awesome! Too bad... it looks not so special. 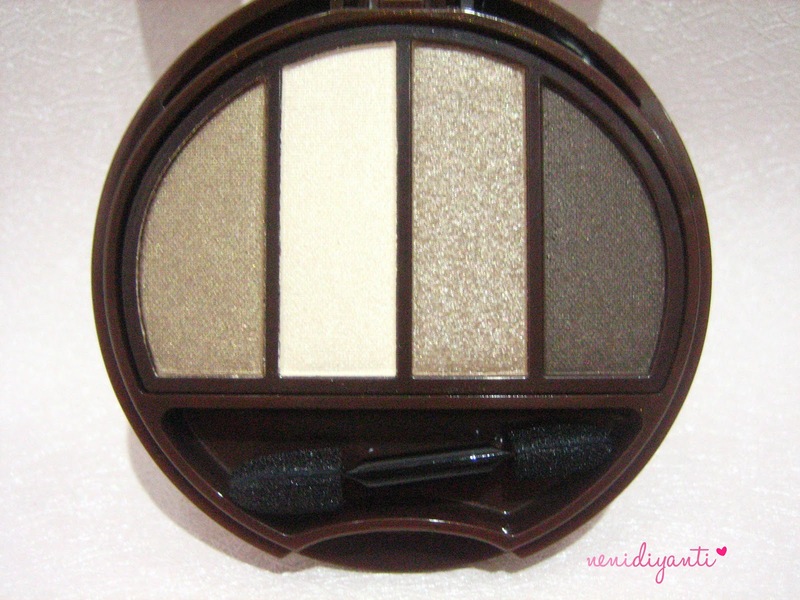 Great choice of colors :) The packaging is cute too! Love the packaging, regardless of size. Neutrals are super for everyday make-up. 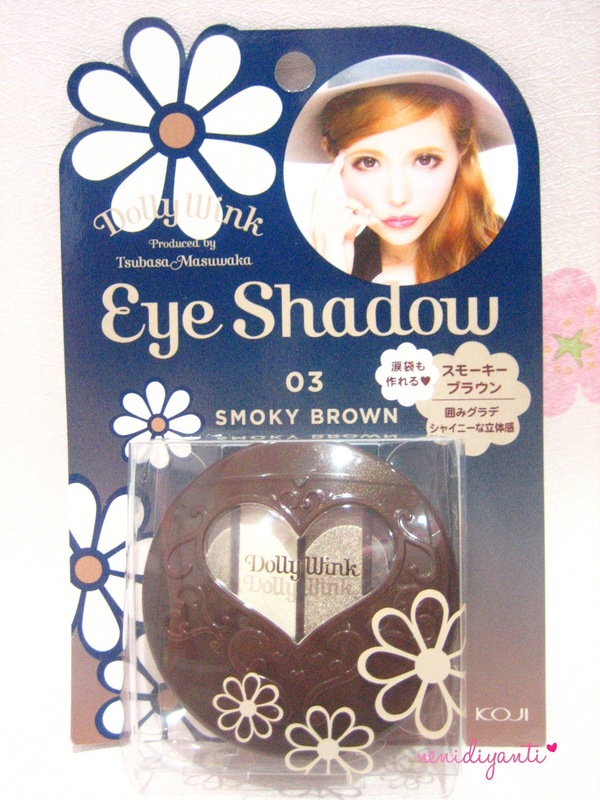 nice colors!i havent heard of dolly wink before..they are japanese? i like the packaging! Aku emang nyari shade warna ini. Surprisingly ternyata belinya jg di olshop langgananku. 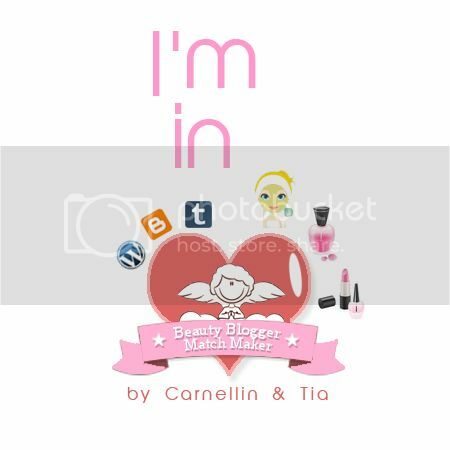 Thanks for review, dear!